Learning a new project management or contract administration system (or any other tech platform, really) initially means more work for everyone, so you need to be sure that your team knows how this will save them time and make their lives easier once they are using it. Identify their pain points, and show them how this solution will help them to better deal with those issues. Pitch the new online software platform to your team based on their needs. Is it going to make communications smoother? Minimize mistakes? Speed up administration processes? Make contract admin a breeze? Highlight exactly how this is going to make their lives easier. 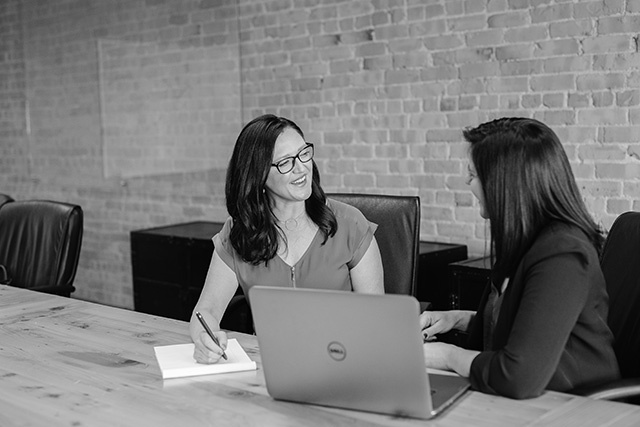 To give you an example, when we asked Julie Varrie, building technologist at MQN Architecture and Design in Vernon, BC, how using RForm had helped her, we discovered that it had slashed the time it took to do payment certifications from three hours to half an hour. Show your team the ROI, because they’re investing time into this, and need to know it will be worthwhile. Many online software transitions fail spectacularly when new tech is dumped on teams and they are expected just to get on with using it. Make your introduction to the software a smooth one by having a brown bag lunch meeting (beer and peers, or similar non-threatening meeting) where you can walk through the product features. Tell your team that you’ll give adequate time for training, and that they can come back with questions at any time. Celebrate that you’re taking a step forward together – as a team – instead of thrusting something new on them. Giving your team a timeline of how the solution will be implemented – over a space of a month or six weeks for example – can be useful. It makes everything look a lot less threatening if they know that they have time to do this transition to the new way. Bringing outside project managers, contractors, and other external persons onboard brings more complications. Many of us are suffering project management solution fatigue, especially when we work with multiple organizations who each use different systems, but in the long run having everyone on the same page will benefit all involved. Hopefully by the time you get to onboarding external stakeholders, your team will already be working happily on that platform, and will help evangelize the benefits to the stakeholders that they work with. Again, ultimately it is all about ROI. Explain how using the platform will benefit them, speed up processes, increase efficiency of the project, and positively impact their bottom line. Just as you did with your team, give external stakeholders the training they need to succeed using the platform, and encourage questions.